Content has always been vital, and today it’s more than ever. Every brand and organization out there is creating content as a means of promotion, creating an environment in which only the useful, the interesting, the valuable, and the entertaining will survive. If you look through our blog, you will find numerous articles about content development, so today we are going to take another angle. Once you have great content it doesn’t exist in a vacuum, so this post is going to look at what you need to do in order to get it front and center before your audience. The way people consume information has undergone incredibly rapid change over the past 20 years. It’s no secret that mobile is the flavor du jour, and this requires a small shift in strategy. Prioritize more short-form content, i.e., Twitter, short blog posts, etc. Think in terms of a reader looking at a smartphone. As I sit here in my favorite coffee shop typing this, I can see no fewer than six people all staring raptly into the screens of their phones. As a matter of fact you can see multiple people engaged with their portable devices just about anywhere you look. Short-form content is a great way of leading people to longer works. 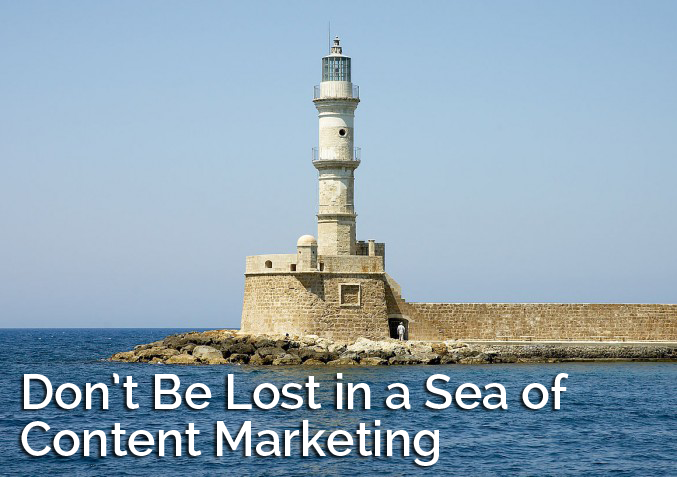 Blog posts, white papers and other longer types of content are most useful when being leveraged to establish or enhance thought leadership in your area. Short content also is extremely useful in leading users to rich content offerings such as YouTube videos. Videos are big on mobile devices, as well as on desktops or laptops. (I’ve included some pertinent stats on the subject at the end of this post.) As bandwidth and screen resolutions increase, people are watching more and more video on their phones. As content goes, this particular medium can have a very personal, face-to-face feel when handled properly, which makes it a very effective means of telling your brand’s story. 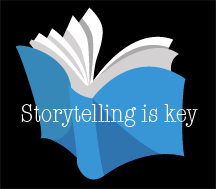 Remember, it is storytelling that sits at the core of effective content. If you don’t grab your readers they won’t finish and they won’t be back. Think about it, which one of these two holds more interest? A simple new product announcement or the tale of that evening it was conceived over magaritas at the local watering hole? The announcement of a new online virus or the story of one of its first victims containing warning on how to identify it? Humans love narrative — it not only provides structure, but also often puts a human face on the brand using it. Then there are the archives, old content that has long since been posted but remains relevant. You are not done with this stuff. If new data comes along that invalidates or puts a new spin on things, update the original. This will give it some fresh life for both readers and the search engines. You should also keep an eye out for opportunities to curate and repurpose old content. Say you have a white paper on your topic of focus, and among other things, it contains a list of statistics. Each of those stats can be repurposed as a tweet, a LinkedIn post, the text of an infographic, short form videos, blog posts and more. High quality original content, both long and short form. Repurposed and updated older content. Careful and thoughtful sharing of other’s content. So that’s great, you’ve got your content out there! Of course the Internet is based on two-way communication, not just a broadcast model. Once you’ve used the techniques above to get it out, then it becomes time to engage. 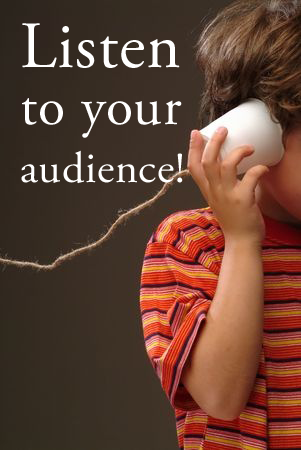 Social media is a fantastic way to listen for conversations about your brand. Set up searches for relevant terms, hashtags, and mentions so that you can stay abreast of them. I’d also advise setting up Google Alerts for those same terms so that you can get a digest of them in your email box daily. Always listen first, and if there is a way to be useful or helpful, dive in and do it — that is the sort of thing that endears people to your brand. Popping up in every conversation to make a pitch, however, is a great way to alienate people. Brand loyalty is one of the most common long term goals. Keep in mind that loyalty is a two way street. As Alexander the Great proved, the best way to incite loyalty is to give it. Be loyal to your customer and readers and it usually will be reciprocated. Check the ego at the door and drop the marketing language. Today’s audience is far to media-savvy for that. Millenialls in particular have a low tolerance for communication that seems “inauthentic,” no matter how many people wish otherwise, that means most typical marketing. They want to see the human side of the companies they deal with, not just get sold a product. As promised above, here are a few stats to drive home the importance of video in your rich media mix. — Statistics drawn from the 2013 ReelSEO Video Marketing Survey and Business Trends Report. Image by Wouter Hagens is licensed under the Creative Commons Attribution-Share Alike 3.0 Unported.